18 Things to Do in McLeodganj, Dharamsala – For The Love of YOGA and all things nice! Mcleodganj is a small hilly town located in the Dhauladhar range of the Himalayas. It is situated 9km uphill from Dharmsala in the Kangra District in the state of Himachal Pradesh, India. This town was completely wiped out by an earth quake in 1905 and no settlement took place here for a very long time after that. In 1959 when the Dalai Lama escaped from Tibet, the first Prime Minister of free India, Mr. Jawaharlal Nehru, offered this place to His Holiness to reside. From then on, this place is known as the official residence of the Dalai Lama in exile. The Tibetan government-in-exile is headquartered in McLeodganj. Apart from the local population, the demographics consist mostly of Tibetans who followed His Holiness. No point in coming to McLeodganj without visiting the Dalai Lama Temple, the whole town revolves around His Holiness. Situated downhill from the Mcleodganj square, this place is pretty easy to spot. 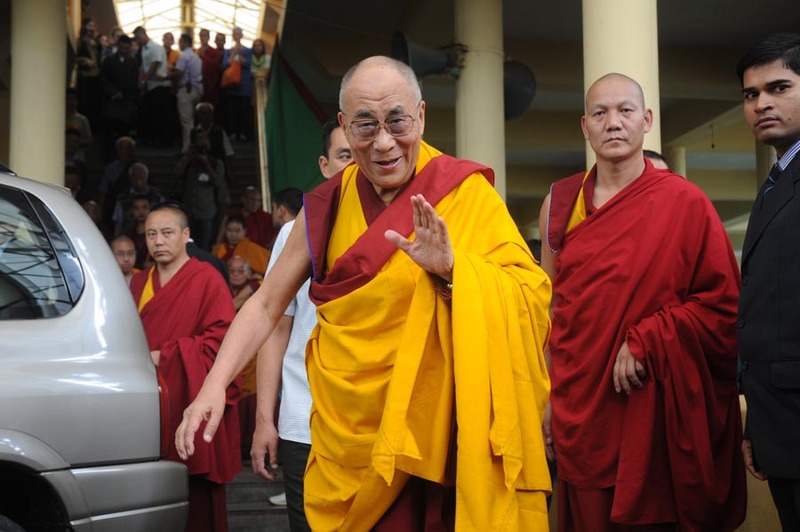 The Dalai Lama holds talks regularly for anyone to attend. Click here to check His teaching schedule. Tushita is the reason why Prachi and I came to Mcleodganj in the first place. 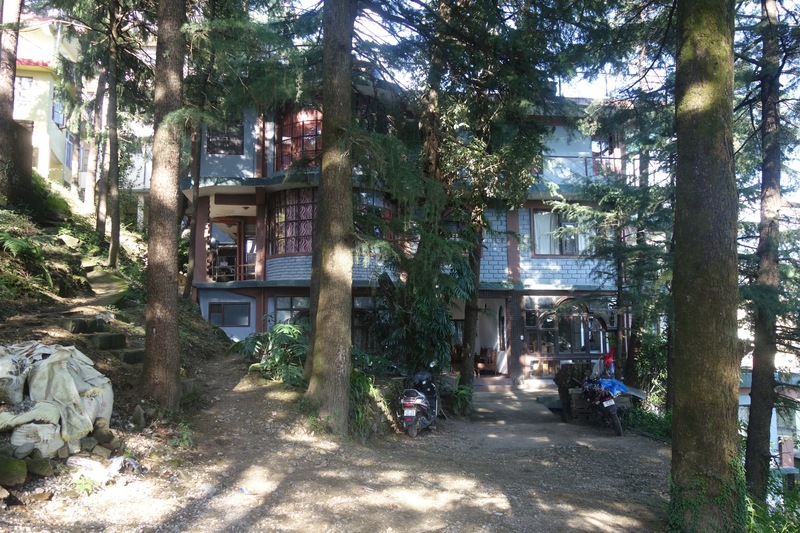 Situated in the forested hills above the town in Dharamkot, the centre specializes in the study and practice of Buddhism and holds various courses all year long. The most popular one is introduction to Buddhism, which lasts for 10 days, and for which students must keep silence for the whole duration of the course. The centre also holds free of charge drop-in meditation sessions that are open to everyone, starting at 9am everyday except Sunday. Norbulingka is a unique institute dedicated to the preservation of Tibetan arts and culture, located in Dharamshala. You can take one of their workshops to learn a new craft or just go there to see the beauty of the place, the serenity of the temple and eat some delicious food at the Hummingbird Café. This institute also offers stunning living space. 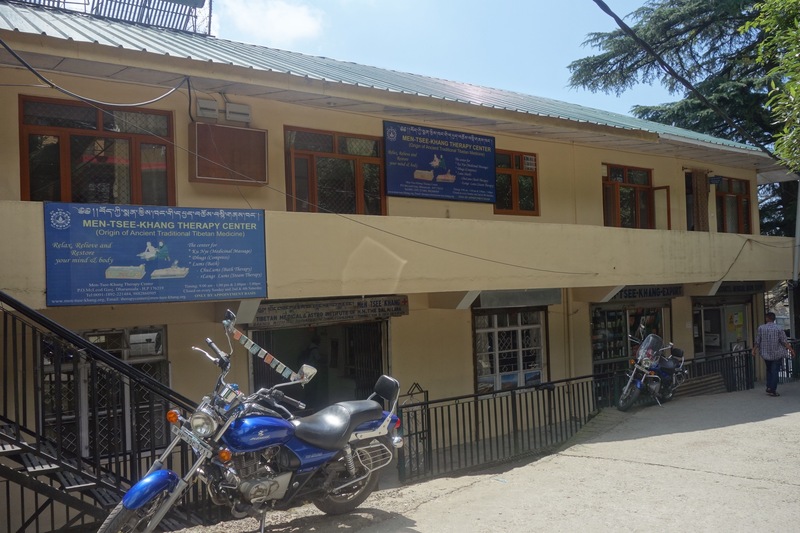 Norbulingka has a branch in McLeodganj named Sarkong Hotel located just near Mcleodganj square. For anyone looking for any luxury living, this place is the one! And again the food is amazing! This is a Hindu temple situated about 3km from McLeodganj in a village called Bhagsu. From the temple there is a 2km walk uphill where you see the beautiful waterfall between the mountains. This is a beautiful Anglican Church built in 1852 and one of the only buildings in Dharamshala area known to have survived the devastating earthquake of 1905. Green Hotel is a great budget hotel to live in McLeodganj. Situated on Bhagsu road, the place welcomes visitors from all over the world so you won’t feel homesick! Plus the food is good and the service is great, with an open terrace to enjoy sunny breakfasts. Located in the quiet and beauty of Tushita Road, Kailwood Guest House has become my home away from home for the last 4 months. The place is clean, cozy and offers single and double room with rates ranging from Rs300 to Rs600/night, with special rates for extended stay. We’ve discovered Crepes Pancake Hut only during our third visit to McLeodGanj or was it fourth? Which is a shame because the place is so nice; and we can admit it, we’ve had a huge crush. The food is healthy, tasty and prepared with care, the ambiance is relaxing; ideal to unwind and plan the rest of your trip. We recommend you to try everything on the menu! Located on Jogiwara road. We spent most of our time at this popular coffee place situated beside the Buddhist temple at the centre of McLeodGanj. We highly recommend Snow lion for their breakfast and Masala Chai, most probably the best in town! It is right next to coffee meal. Situated in the popular village of Dharamkot, this place serves delicious sandwiches, cakes and other bakery delicacies. They bake their own bread daily and is one of the very few places in Dharamkot that serves brown bread. Our favourite place for breakfast in Dharamkot. This is the best place in McLeodGanj for some amazing Indian food. Whether for breakfast, lunch or dinner, you will always find something to suit your taste buds and everything is freshly prepared. It is a tiny joint on the first floor of a vegetable shop on Tipa Road, and if you’re not looking for it you might miss it. Make sure you do! If one day you’ve had enough of practicing yoga and sipping green tea, and fancy ‘going wild’ with a glass of red wine, then Indique Kitchen is the place for you! There aren’t that many good places that serve alcohol in McLeodganj, but at least there’s Indique. Jimmy’s Italian is The place to go in McLeodGanj for some good pizzas and chocolate mousse. Not to be missed! On Jogawara road, this place is right after Snow Lion Cafe. Whether you’re a complete beginner or a seasoned yogi, Himalayan Iyengar yoga centre is a must do! Run by Sharat Arora, a highly experienced and well travelled Yogi; with a simple approach and a life-changing secret- everything is in your feet! Located in Dharamkot village, the centre has some really beautiful and inspiring gardens. Hatha yoga with Vijay is only for the tough ones. His daily open classes start at 5.30pm, and will definitely give you sore muscles and a very good night’s sleep. However do not misunderstand me, you must try his classes for an amazing hour or so of some good yoga! You’ll find Vijay Yoga on Jogiwara road. Relax, relieve and restore your mind and body at Men-Tsee-Khang Therapy Centre! Located on Tipa road, the centre offers ancient traditional Tibetans medicine, including massages and bath therapy. Perfect after a long bus journey or some intensive yoga! For all you beautiful ladies out there, do try this shop for their Chupas, which is a traditional Tibetan dress. This store is run by two amazing women who will even stitch the whole garment for you if you don’t find your size readily available. It is situated on the temple road, about 200m up from the Dalai Lama’s temple. Last but not least, the trek to Triund is highly recommended for anyone looking for some adventure and amazing scenery. Situated in the laps of Dhauladhar mountains, it has the perfect view of the Dhauladhar mountains on one side and kangra valley on the other. Triund trek can be described as a tranquil trek which can be easily accomplished by almost all age groups.